Ladies of Liverpool | Listen Free on Castbox. Ladies of Liverpool, hosted by Radio City Breakfast presenter Leanne Campbell, is fun, friendly and crammed with info that means something to all you ladies! 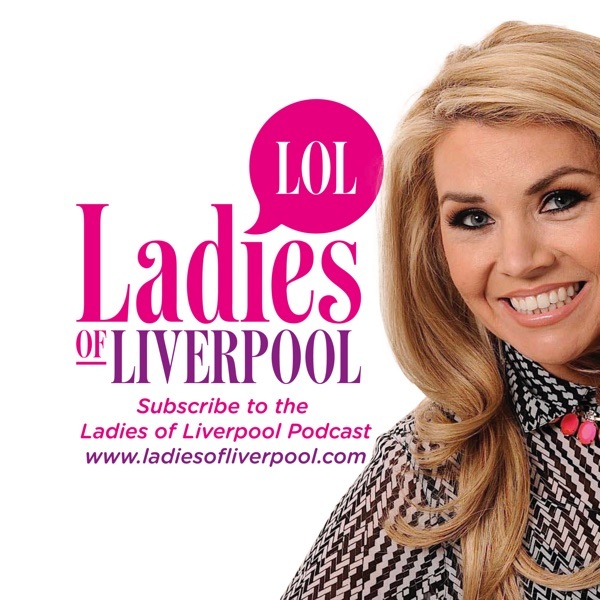 Hear jaw dropping, hilarious and inspirational stories from ladies of all walks of life and stay in the Liverpool loop if you have moved away from your beloved city! When you hear how Billie earns her wages, you will want to swap jobs in a heart beat! This Scouse firecracker is a highly acclaimed international DJ with her own hugely successful brand. More than 40,000 people attend her SIN events with parties being held in Liverpool, Dubai, Amsterdam, Ibiza, Marbella, Thailand and more. Hear about her crazy life djing around the globe, her thoughts on Liverpool’s night life and how it’s changed, living a Scouse life in Dubai and her Soap Award! This week its all about the lady who doesn’t age! IT’S a family affair at St Helens Theatre Royal this Easter as actress Linda Lusardi takes to the stage with her real-life daughter Lucy Kane in The Wizard of Oz. So I grabbed them both for a chat and they were just gorgeous in every way!You can see them in action until April 22nd and on this week’s podcast hear how they cope working together and get all the backstage gossip. Brookside and Emmerdale's Linda Lusardi is playing The Wicked Witch but it’s not been easy for her transforming from a successful glamour model to an acclaimed actress. Listen to her journey from glamour shots to tv fame. Plus the truth about marrying the love of her life scouse actor Sam Kane and find out which member of her family is about to become a huge movie star! Four fab schoolmates from Kirkby have revealed plans to expand their salon into a nationwide beauty brand, bringing Scouse glamour to women across the UK. Toni Kenny, Laura Tippler, Rebecca Smith and Alex Haake launched Girl Gang XO in October, realising a life-long dream to run a business together.Now the four friends are intending to spread their Girl Power message, creating a brand which they say is inspired by and aimed at real women rather than unattainable social media images.Find out what made they stand strong against internet trolls and why they believe all young Liverpool ladies should think big when it comes to building an empire! An estimated 2 million adults aged 16-59 experienced domestic violence last year. Katie’s partner beat her so savagely that he broke every bone in her face. She spent three months in hospital having her face reconstructed and on one occasion when her face collapsed, she had to have emergency surgery. Katie’s partner was sent to prison but the damage had been done and she shut herself off from the world, suffering from depression and refusing to see people. Hear her story and how we can help others trapped in abusive relationships. Meet Saliha a local Muslim lady who feels passionate about changing the misconceptions people hold in regards to Islam. Clothing is always a good place to start! “Modesty” has received bad press in that in can be associated with “oppression” but her boutique is helping her to break these stereotypes. Yet this is only the tip of the iceberg! Empowering women is important to Sal and a big passion of hers alongside the clothing is working with trauma release through energy healing techniques. Can we heal ourselves if we put our minds to it? Are we that powerful? Hear her story this week on ladies of Liverpool. Imagine binning your job and setting up a business with your best mate! That’s exactly what the Deli Girls did. Hear the highs, lows and comedy moments they have experienced so far and the undeniable chemistry between them both which makes The Little Deli, Crosby such a huge success. Plus the science behind super foods, why the best ideas happen after a bottle of Prosecco and the trials working mothers face every day. This is going to be an emotional yet truly inspiring listen for you whoever is about to press play on this podcast today on international women’s day. Proving a mother’s love sees no boundaries, a Liverpool mum campaigned tirelessly for stricter laws over tyres has finally won her battle. Frances Molloy lost her 18-year-old son Michael in a coach crash in 2012\. Somehow she has found the strength and courage to force changes to the law and make it illegal for buses and coaches to use tyres that are more than 10 years old. Hear her story, from ultimate lady of Liverpool herself, Francis Molloy. Hi I’m Leanne. I diet. Often!I lose a few lbs then gain it back plus a little more then diet again. Can you relate? Today hear how we can make small changes to our diet that will make a difference! Are you struggling to get motivated or need to try something new? Well it’s early days but I’ve started following the Keto Diet ! The ketogenic diet is a high-fat and very low-carb eating plan so I want to talk to you about the highs, lows and honest effects of Keto alongside nutritionist Jo Palmer from Pioneer Fitness. It’s all in this episode Keto transformations, family diet truths and even Keto Crotch!!! Enjoy! Who is Kate Mciver? She’s mummy to Lucia, wife to husband Chris, daughter sister, friend, business women,professional skin health expert and a wonderful woman who has everything to live for. Sadly Kate has cancer. Prognosis isn’t great but the fire in this ladies belly will leave you speechless. Right now Kate herself is very poorly but her friend Kathryn is happy to take us through Kate’s journey past and present. Listen for a chance to get your hands on Kate’s Miracle Oil and help her build a legacy for years to come. If anyone can do it this lady of Liverpool can.